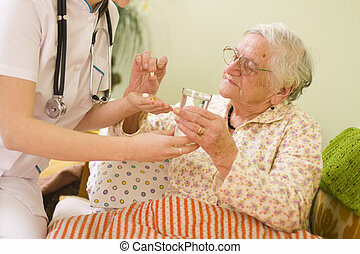 Cure with positivity. 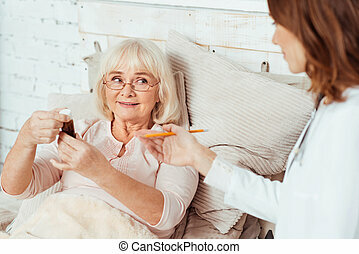 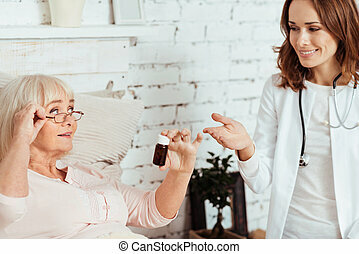 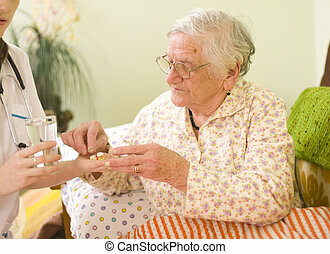 Pleasant professional doctor visiting elderly sick pleasant woman at home and holding her hand while giving a piece of advice. 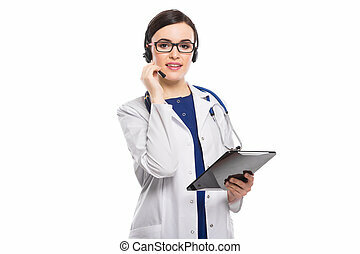 Female doctor holding digital tablet with a picture of uterus showing it to her female patient during an appointment copyspace profession occupation experience support survey science health. 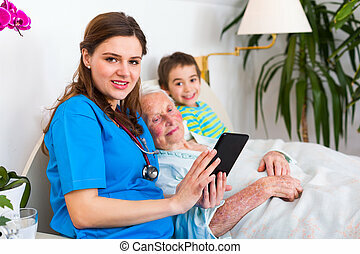 Beautiful happy female doctor gynecologist smiling to the camera holding digital tablet with a picture of uterus her patient on the background copyspace gynecology mammography feminine health. 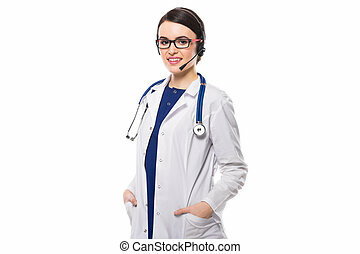 Portrait of young attractive female doctor in white coat with glasses smiling looking in camera with headphones talking with patient consulting as telemedicine concept confident friendly experienced professional skilful positive cheerful lucky happy brunette caucasian beautiful pretty gp isolated specialist. 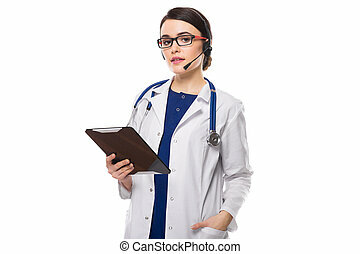 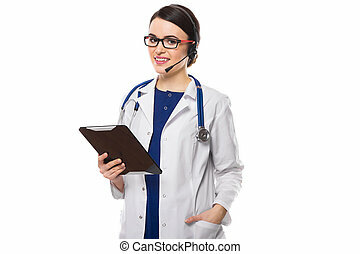 Portrait of young attractive female doctor in white coat with glasses smiling looking in camera with headphones talking with patient consulting as telemedicine concept confident friendly experienced professional skilful positive cheerful lucky happy brunette caucasian beautiful pretty gp isolated specialist copyspace. 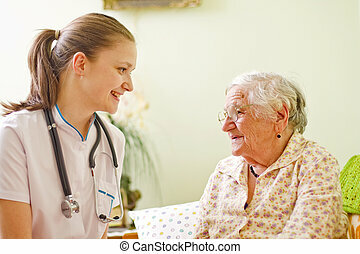 A young doctor / nurse visiting an elderly sick woman socialising - talking - with her. 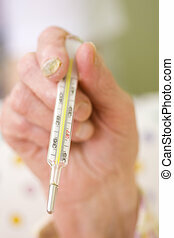 An old woman holding a clinical thermometer in her hand, a blurred image of a doctor in the background. 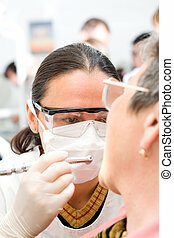 A young dentist treating an old woman\'s teeth, turbne in her hand, doctors in the background - part of a series. 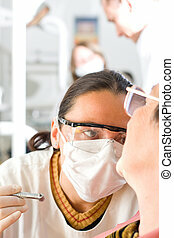 A young dentist treating an old woman\'s teeth, whit the turbine in her hand, doctors in the background - part of a series. 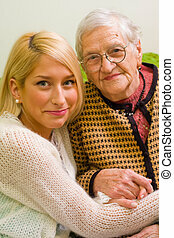 A young hand holding an elderly one. 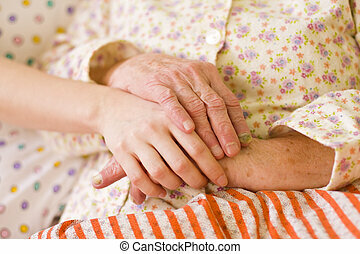 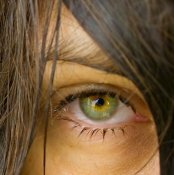 It can be a hand of a carer or a family member. 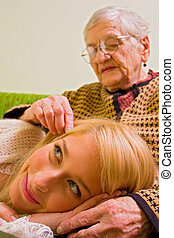 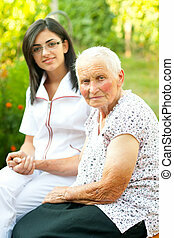 An old woman and her grandchild sitting close to eachother (focus on the young woman) - part of a series. 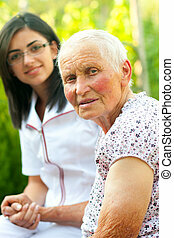 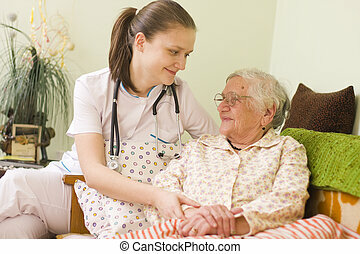 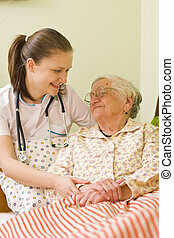 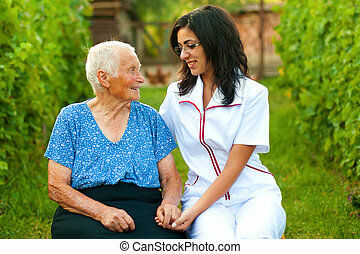 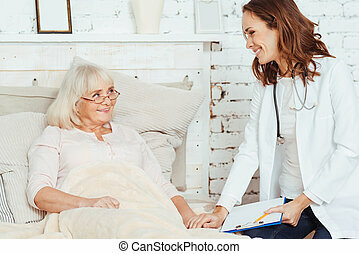 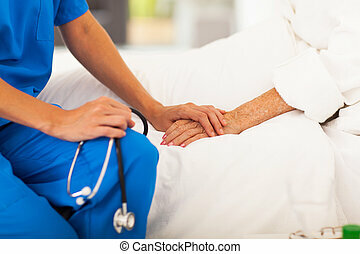 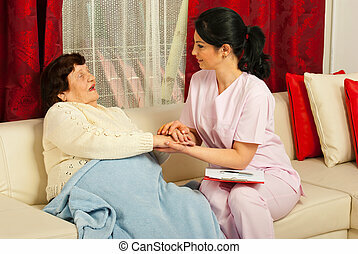 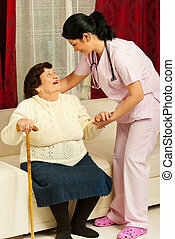 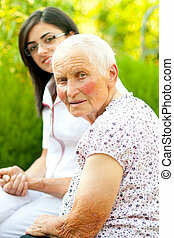 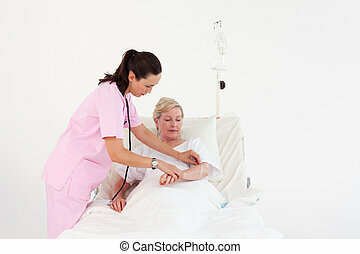 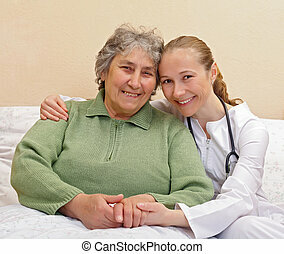 A young doctor / nurse chatting with an elderly sick woman holding her hands with caring attitude. 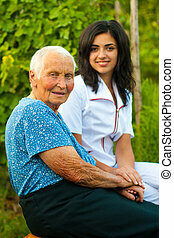 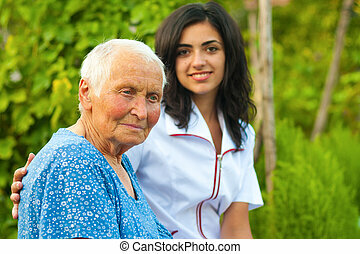 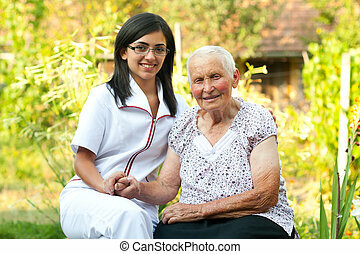 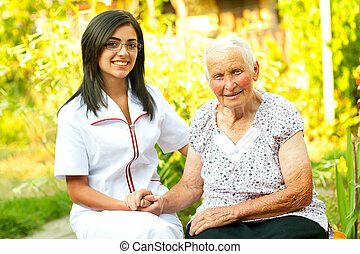 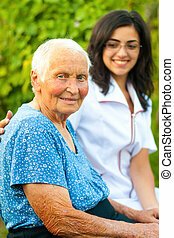 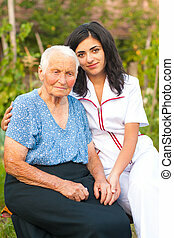 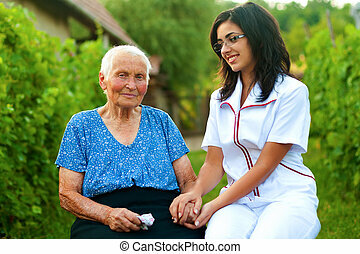 A young doctor / nurse visiting an elderly sick woman outdoors. 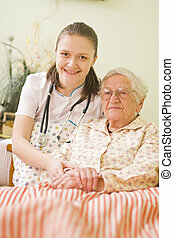 A young doctor/nurse standing next to an elderly sick woman. 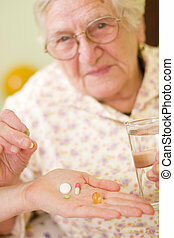 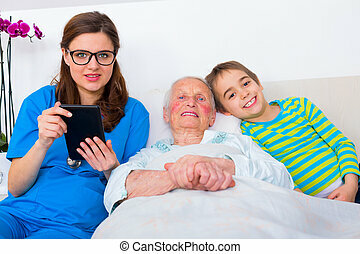 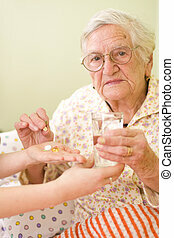 Kind doctor holding a digital tablet in her hand, spending time with elderly woman when her grandson visits her. 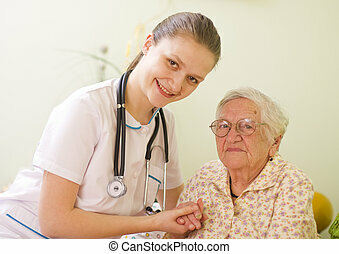 A young doctor / nurse visiting an elderly sick woman holding her hands. 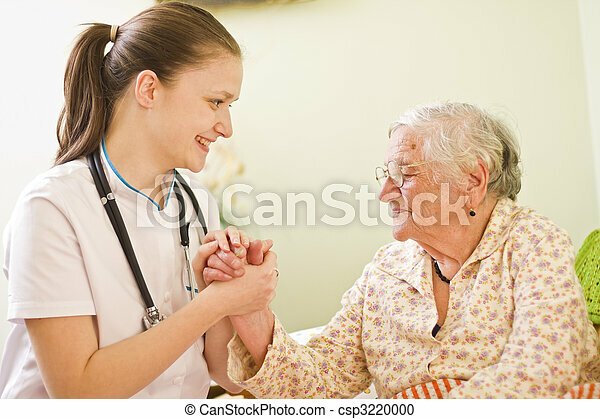 A young doctor/nurse visiting an elderly sick woman holding her hands.